Lift your next beer using this Irish beer stein that features a pewter lid and hinge along with a pewter shamrock icon on the glass vessel. 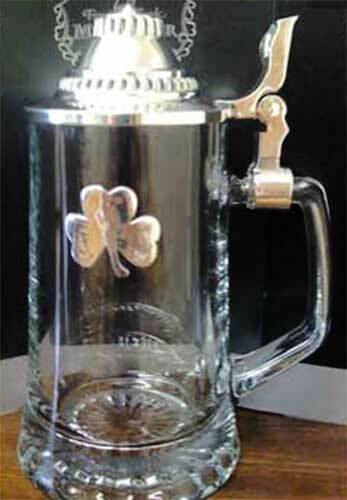 The shamrock stein hold 20 ounces of your favorite beer and it is made in Ireland by Mullingar Pewter. The pewter beer stein is gift boxed with a shamrock history card, complements of The Irish Gift House.